On March 31 eSocialwork (UC Leuven-Limburg) and CAD Limburg will organize an introductory evening for parents around the subject of gaming. 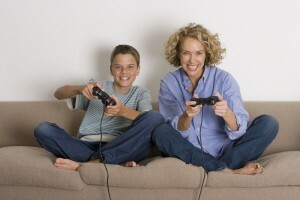 It will be a fascinating, approachable and free introduction for parents who want to know more about the video games their kids play and love. The speakers at the event, Dimitri Das and Huub Boonen, will explain how parents can properly regulate gaming for their kids. To get to know video games better, five games will be shown live in demo rooms and students will hold interactive gaming sessions. Afterwards there will time for some drinks and a casual chat with the speakers and other attendees.